2. High quality of the end products: good taste and falvor, high flour strength physicochemical index. 1.High gluten corn flour complete set of equipments uses fresh corn flour, utilizes bioengineering technology to adjust the corn molecular structure and processes by bio-enzyme technology. 2.It adopts dry basis corn flour, mechanization automatic processing or semi-automatic continuous production. Its end products doesn’t contain corrosion remover or chemical glue material. The nutrition after processing keeps invariant. 3.It can solve the problem of gastric acid caused by corn flour and make the nutrition absorbed furthest. It makes the end products keep slight natural corn flavor. It removes the bitter and biting taste in corn protein and germs and the end products taste fine and smooth. There has no coarse flavor problem any more about corn food. 4.High gluten corn flour keeps corn natural color, has compact structure and good water-retaining property, and possesses the features for cold working. 5. 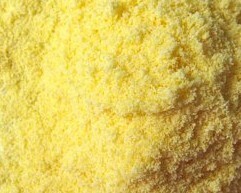 Corn flour strength physicochemical indexes can reach wheat flour standard. The dough has some ductility and viscoelasticity after kneading and can process various kinds of food. 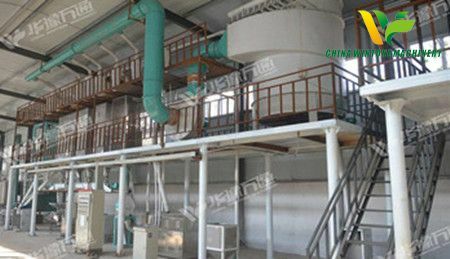 High gluten corn flour complete set of equipments is widely used in food processing enterprises and corn fine and deep processing enterprises. 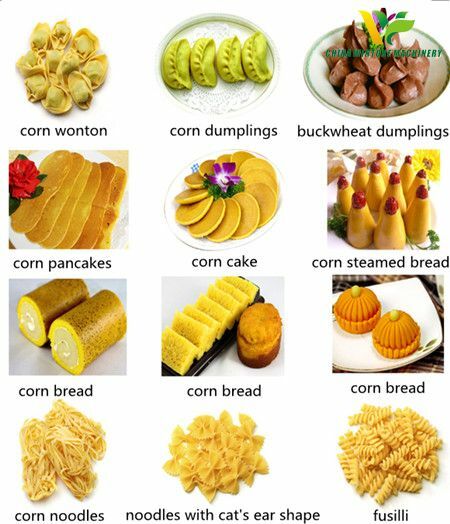 High gluten corn flour can be used to make various corn food, such as corn dumplings, corn bread, corn steamed bread, corn noodles, corn wonton, corn instant noodles, corn glue pudding and so on. It adopts dry basis corn flour, mechanization automatic processing or semi-automatic continuous production. Its end products doesn’t contain corrosion remover or chemical glue material. The nutrition after processing keeps invariant.